Consumers are being mislead by the legal system, media, and corporations regarding the safety & ethics of companies and their products. Innocent until proven guilty is for the court of law not the court of public opinion. We only need to look to a company’s fact-based history over time as a good indicator of the future to determine if we should support a company financially or not. Our purchases have power. Something we need to remind ourselves each time we pull out our wallets to pay for something as simple as Johnson & Johnson Band-Aids to Johnson & Johnson Baby Powder. 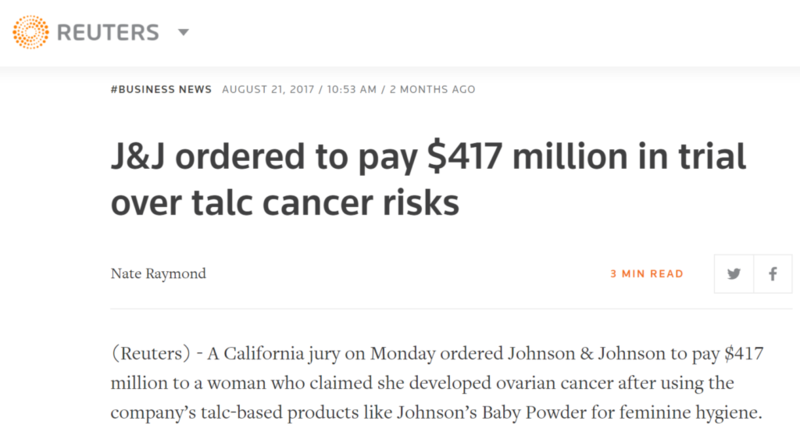 Johnson & Johnson knew in the 1990’s talc in their Baby Powder had health concerns linked to ovarian cancer and continued to sell it without warning the public. That’s putting profits before consumers. Medical sexism and racism exist and when a company exploits minorities it’s a trigger for The Sociopathic Business Model™ where the company is likely engaged in far greater unethical and or illegal behavior that harms a larger population of people. That evidence is supported by Johnson & Johnson choosing to withhold critical data from all consumers. Here are three things consumers should do to protect themselves from unethical companies that often act illegally. Courts: Even though consumers may not fully understand the court’s findings, this usually gives a less biased overview of what’s going on and allows for the public to make better informed decisions. Jump to the Judge’s Orders near the end of the document for a quick understanding of the outcome. 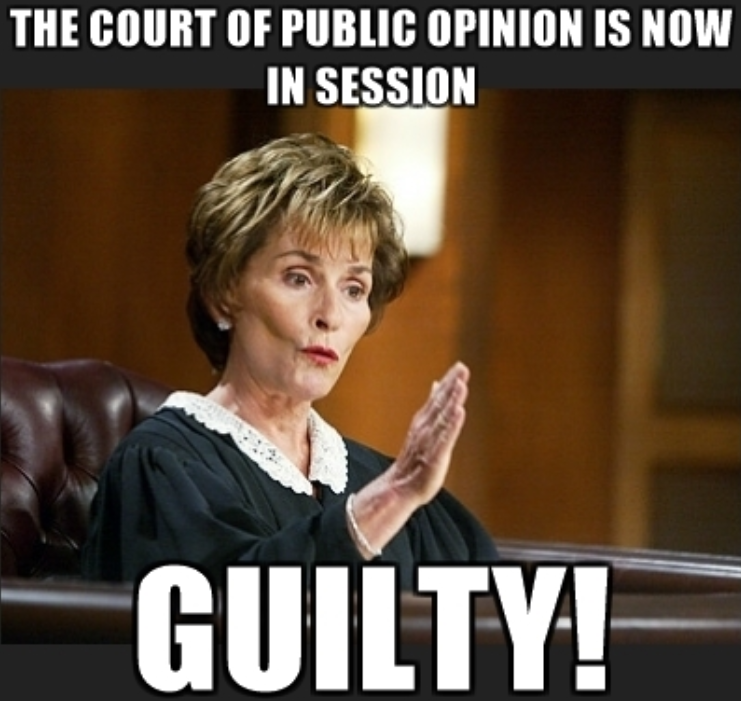 Sadly, many judges don’t like big verdicts and that’s a problem. Once a jury decides that should be it. 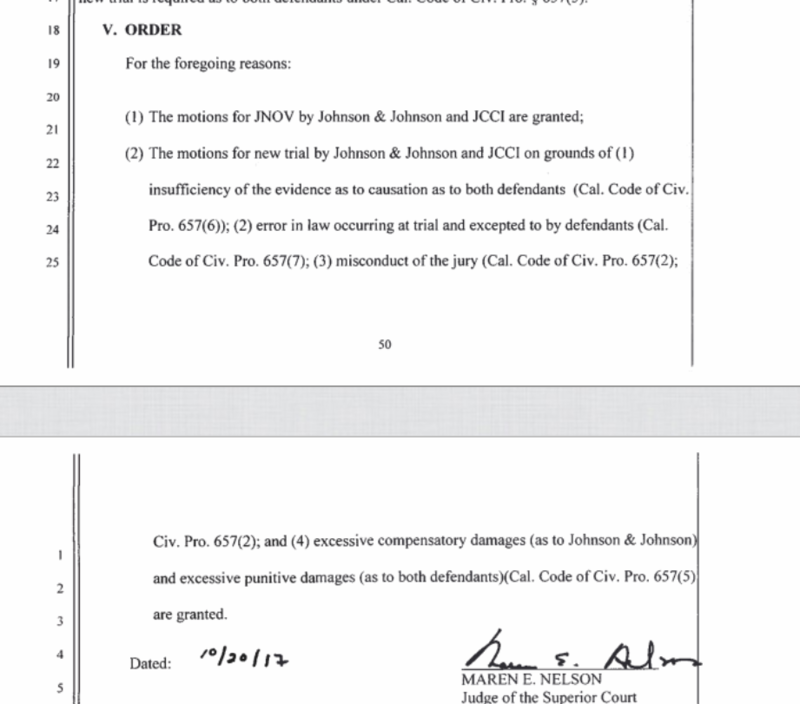 Johnson & Johnson also has a pathological history of demeaning and insulting victims by filing motions to dismiss, appeals or in this particular case, a request for a new trial. Johnson & Johnson has deep pockets and very expensive attorneys who can continue to fight at a level that most victims cannot afford. What the judge’s decision to grant a new trial will likely do is force both sides to settle for a lot less money and under the secrecy of a non-disclosure agreement. This case will likely go away quietly. Victims have the right to settle but that is not the same as a company being found innocent of charges. Yes, the sensational $417 million verdict was overturned but not vacated, as is implied by these headlines. 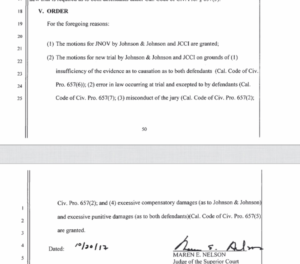 Meaning Johnson & Johnson was not found innocent of charges must still go to trial again over these same charges. 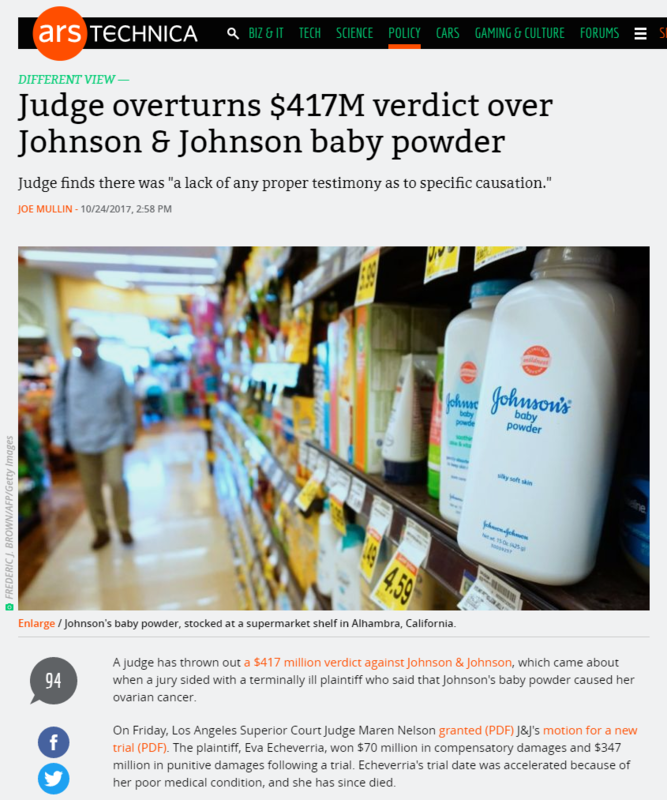 If consumers are just scanning headlines on social media, these headlines look like it’s a no-fault victory for Johnson & Johnson. 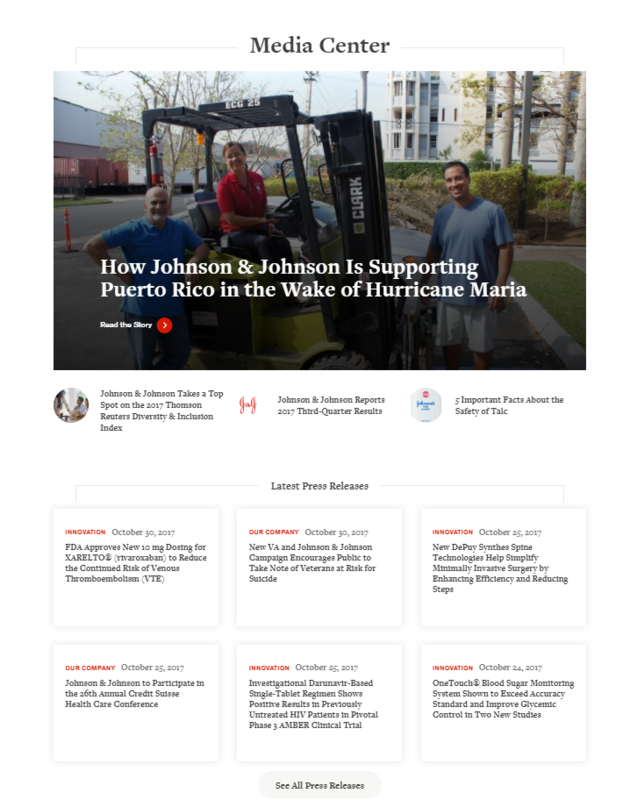 The media must do a better job of holding pathologically unethical companies that engage in illegal behavior like Johnson & Johnson accountable and, that includes in the headlines. Abusive people, defending abusive companies do not want negative truthful information exposed as it truthfully hurts their corporate image and image is tied to profit. Test your skills to see if you can find the manipulation of facts while not recognizing the rights of consumers or patients in company press releases. Compare those to court findings and media reports to get a truer more accurate picture without the corporate #PRSpin. A company’s unethical and illegal behavior will continue to escalate causing harm until they are forced accountable. If we want to create positive change we must be willing to make purchases based on facts and not court decisions, be willing to truthful expose a company’s negative truthful information on social media in conjunction with legal intervention.